If you’re new to the idea of full-time RV traveling with your family, we understand you may not know where to start. In “How to Hit the Road” and “Our Journey Journal,” these detailed steps are outlined to help families set a foundation of success for their adventure. The Roadschool Moms duo gives an overview of the top five steps for getting your life off hold and on the road.The Big Idea. Figuring out why this idea is attractive to you? What do you find appealing about full-time rv travel? What is your motivation for researching this lifestyle option? Once you have established that you are not in-fact running away from something (which doesn’t work) and have your priorities aligned you can move on to step 2. People Prepping. You may be the only one in your family who thinks full-time rving is a viable option. The second step is making sure every one’s to on board. Set aside some time to discuss this idea with your significant other and use this time to LISTEN to their thoughts about this transition. Before you bring this idea up to your extended family and friends, you may want to listen to our show on Dealing with NaySayers and Negative Nellies. A. Stop buying things immediately. Start out with a personal commitment to not buy anything for one week. After that accomplishment, vow to not buy anything for two weeks, and then one month, and so on and so forth. B. Start purging. Weeding out unnecessary, unused, and unwanted items is a never ending process in this lifestyle. Begin with small areas, such as a single drawer or a specific cabinet. It gets easier each time. The more items that are pared down now, the less that will have to be dealt with later. C. Get out of debt. If you have debt, work hard to get out of it. We suggest Dave Ramsey’s FPU, a great program for families with debt. Set a date. The date motivates! Come up with a reasonable launch date and post it everywhere! This will give you an opportunity to take baby steps toward your goal in an intentional manner. A goal with no date is just a dream. A dream with a date becomes an inevitable reality. Come up with a money plan. Assess your current sources of income and determine if any can be modified to a location independent opportunity. If not, come up with location independent income stream. Several shows dedicated to this topic exist over in the Roadschool Moms archives. 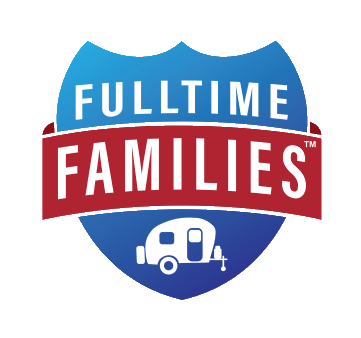 Mentoring services to families seeking the transition to a full-time rv lifestyle are now being offered by Kimberly Travaglino, onwer of Fulltime Families. Together with Kimberly, you can come up with a lucrative independent income stream that can fuel the adventure of a lifetime. Kimberly only takes three clients in a season. If you are interested in more details, head over to fulltimefamilies.com/mentoring to complete the contact form. To listen to the Roadschool Moms’ five quick steps on getting your life off hold and on the road, tune into the August 30th episode of Roadschool Moms over at iTunes!